It’s hard to believe actress Mariska Hargitay has been starring as NYPD Lieutenant Olivia Benson on “Law & Order: SVU” for nearly two decades, but when it comes to her living situation, she likes to change things up a bit more. 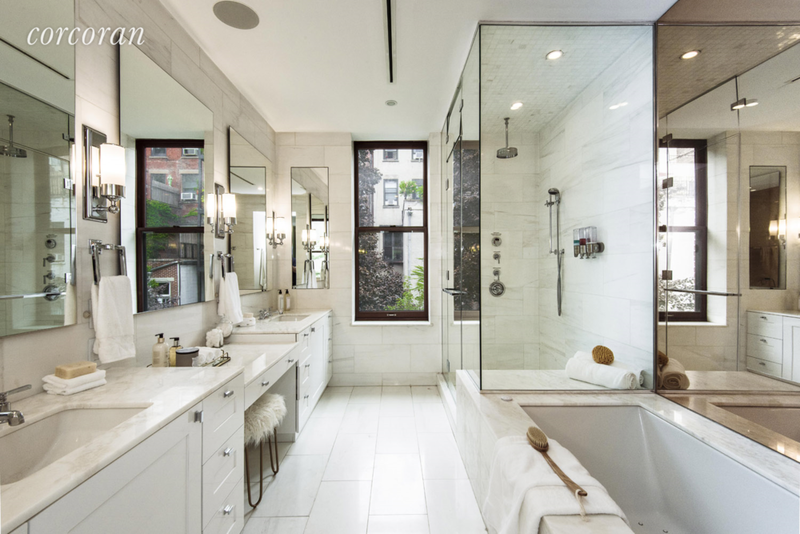 She and her husband, actor Peter Hermann, bought a stunning Upper West Side brownstone for $7 million in 2012, and they’ve now put it on the market for $10.75 million. Hermann told the Wall Street Journal that they’ve decided to sell because their “family needs have changed,” but they’d remain in the neighborhood. 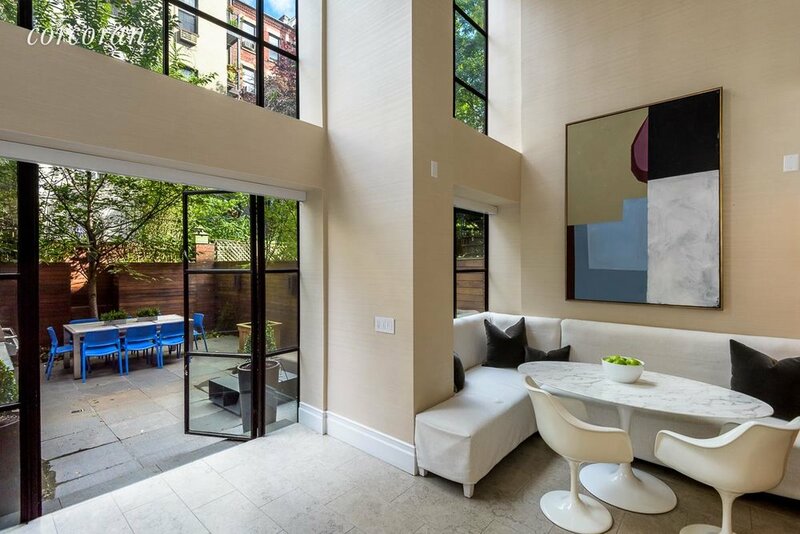 The six-story, 6,000+ square-foot home is located at 45 West 84th Street, between Central Park West and Columbus, and is “loaded with color and vibrancy,” according to Hermann, thanks to a collaboration with designer Jeffrey Bilhuber. 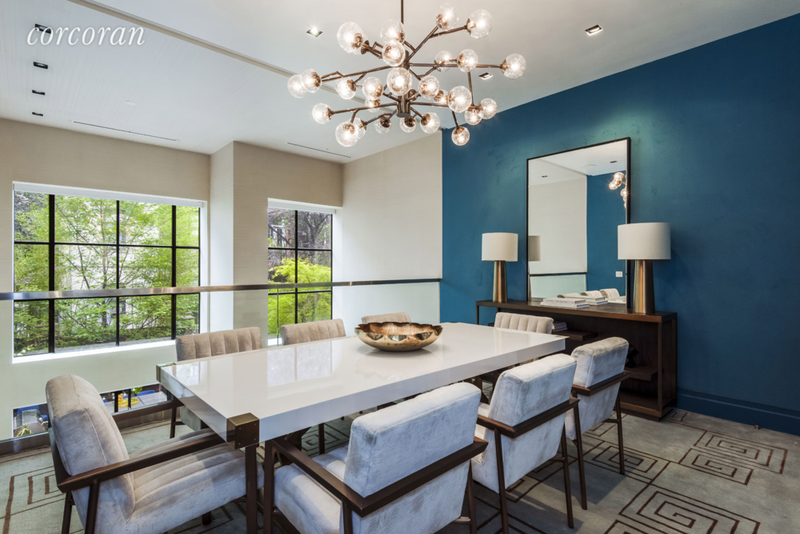 The home boasts an elevator, five bedrooms, six bathrooms and three powder rooms, and a vented laundry room. The main parlor floor has a gas fireplace and a modern, mirrored wall. Past here, is a dining room/library that overlooks the kitchen below and the rear garden. The garden level has another living area, as well as the uber-contemporary (and very yellow) eat-in kitchen in the rear, where the renovation added floor-to-ceiling casement windows to created a double-height space that leads to the landscaped garden. The third floor is dedicated to the master suite and includes a double walk-in closet and dressing room, small terrace, and marble en-suite bath. The fourth and fifth floors each have two bedrooms, all with their own bathrooms and one with its own terrace. Perhaps the best part of the house is the top-floor sun room, which has both north- and south-facing terraces. 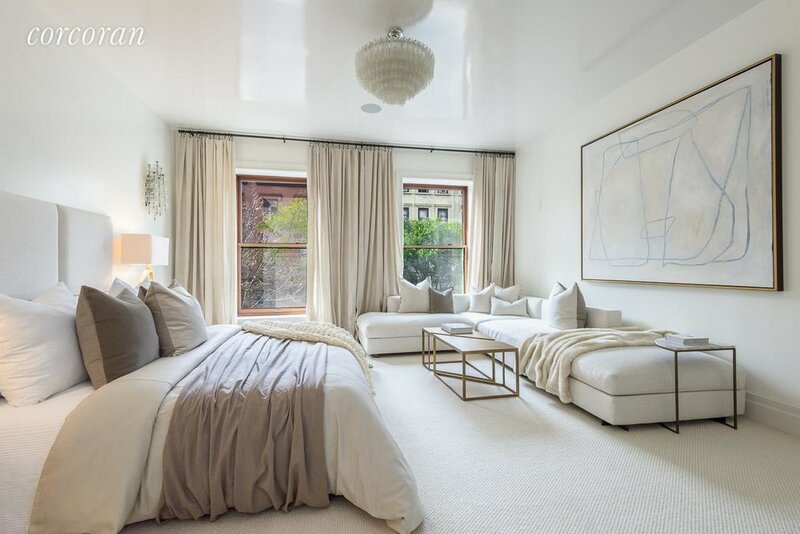 Back in 2008, Hargitay sold her equally stylish Chelsea penthouse for $8.15 million. She reportedly makes upwards of $500,000 per “Law & Order” episode now, so we don’t think finding a spectacular new family home will be much of an issue.